– Temasek Holdings’ portfolio value for financial year to March 2009 fell 30% on-year to S$130 billion. – Terror mastermind Noordin Mohammed killed in raid on millitant hideout, says Indonesian police chief after meeting with President Yudhoyono. The WHO survey mentioned by Mr Khaw in his reply to parliament is actually the World Mental Health Survey (WMHS) 2004. Although Mr Khaw cited this survey in parliament in comparing the prevalence of mental illness in Singapore with other countries, surprisingly, Singapore is not one of the countries mentioned in the WHO WMHS. When queried on this, Ministry of Health replied that while the figures for other countries were indeed from the WMHS 2004, the figures for Singapore were from a study conducted by the IMH. What makes it worse is that mainstream media (MSM) like Channel News Asia and The Straits Times did not bother to check the sources for the Health Minister’s figures. They simply repeated the press release almost verbatim. Is this what the Minister for Information, Communication and Arts meant when he said that the MSM “will investigate thoroughly before they publish”? The question of honesty aside, the value of comparing figures retrieved from different surveys is also highly questionable. The central World Mental Health staff put many protocols in place to ensure that results from the survey could in fact be compared cross-nationally. They trained bilingual supervisors in each country. Consistent interviewer training documents and procedures are used across surveys. The WHO translation protocol was used to translate instruments and training materials. Standardised descriptions of the goals and procedures of the study, data uses and protection and the rights of respondents were provided in both written and verbal form to all pre-designated respondents before obtaining verbal informed consent for participation in the survey. Quality control protocols were standardised across countries to check on interviewer accuracy and to specify data cleaning and coding procedures. Did the IMH survey place the same protocols in its own survey? Were the questions in the survey consistent with those in WMHS? Were the supervisors and interviewers sufficiently trained? Did the population sample picked by IMH differ from the population sample of WMHS? What quality controls were used in IMH’s survey? Such protocols are essential to ensure that any differences that are found between countries in the survey are not mere artefacts of the different ways in which the survey was carried out, and its data evaluated, in each country. By comparing IMH’s findings directly to the WHO’s findings, MOH is ignoring the vast amount of care put in by WHO in trying to eliminate such artefacts. 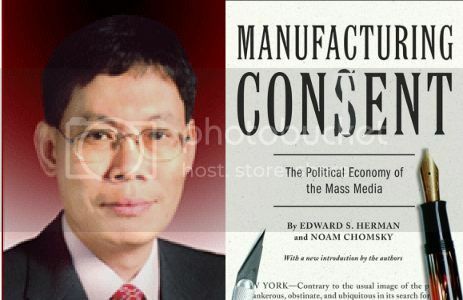 The conclusion that MOH draws about Singapore’s supposedly lower prevalence of mental illness could be completely unwarranted measured by standard scientific procedures and survey protocols. Bihui is a postgraduate student in the history and philosophy of science. She likes sources of information to be clearly cited and credited. Read also: Not Mainstream Media, not New Media, then who?